The EOS M Digital Camera bundled with the new EF-M 22mm f/2 STM kit lens will be available in October for an estimated retail price of $799.99. A white version of the EOS M Digital Camera bundled with the new EF-M 22mm f/2 STM kit lens will be exclusively available through the Canon Online store, shop.usa.canon.com. The new EF-M 18-55mm f/3.5-5.6 IS STM lens, Mount Adapter EF-EOS M and Speedlite 90EX will all be available in October at an estimated retail price of $299.99, $199.99 and $149.99 respectively. 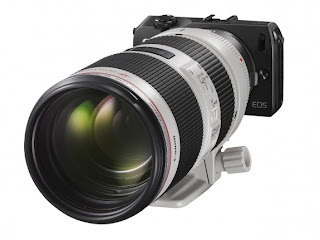 Sample images and videos posted by Canon Japan. Click on the Link to see these videos. 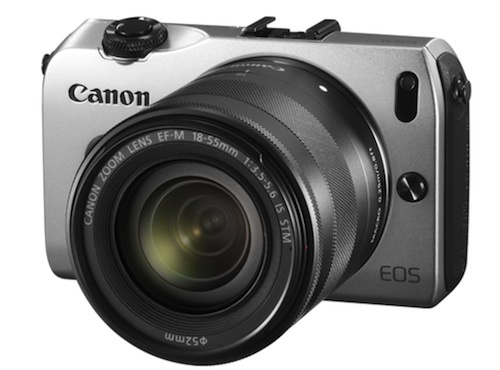 Another video from Canon featuring the EOS-M camera. Click on this Link to play the video.